Its only me again! I'm on a bit of a roll again lately with blog posts and i'm thoroughly enjoying getting back into the swing of things! Although i should be packing i thought id write a post on these beauts! 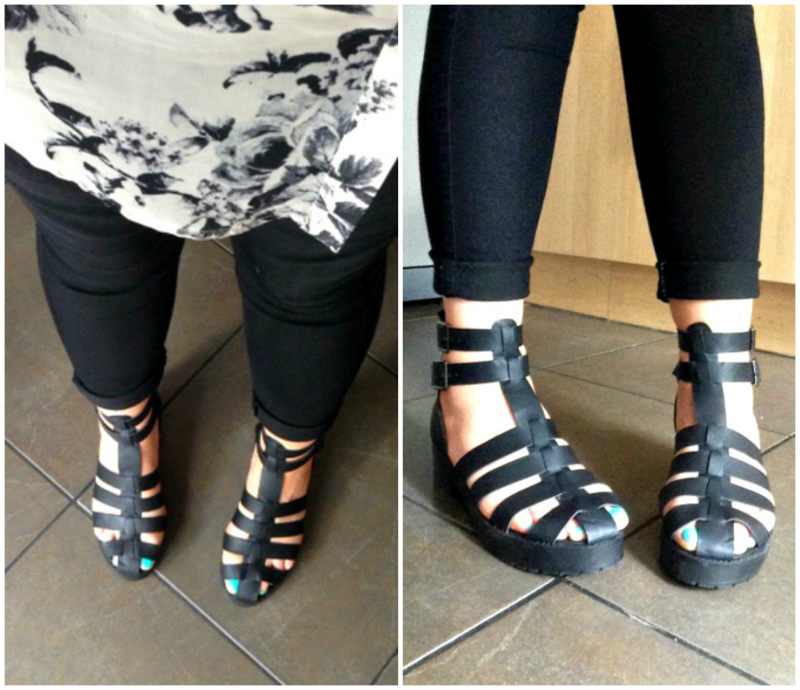 I picked up these beautiful chunky sandals a few days ago from Primark for £14. I have a similar, real leather pair from tophop that are flat and i absolutely love them so knew that i needed to purchase these too. I have always loved this style chunky, caged sandal but at 5''9, probably closer to 5''10 i find it hard to pull off any kind of heeled shoe and tend to stick to flats. However, these Primark versions are possibly the smallest heel i've seen, at just over an inch high. I have seen a lot of people rocking the white pair too, i'm not sure if i'm that brave? I think i will probably stick with the more subtle of the two! What are your thoughts on shoes like this? Also check out Cecilias post to check out the rules and to be in with a chance to win Benefits They’re Real Push Up Liner!